The Tuesday’s Tails blog hop is hosted by Dogs N Pawz and Talking Dogs. This is the blog hop that features shelter pets. 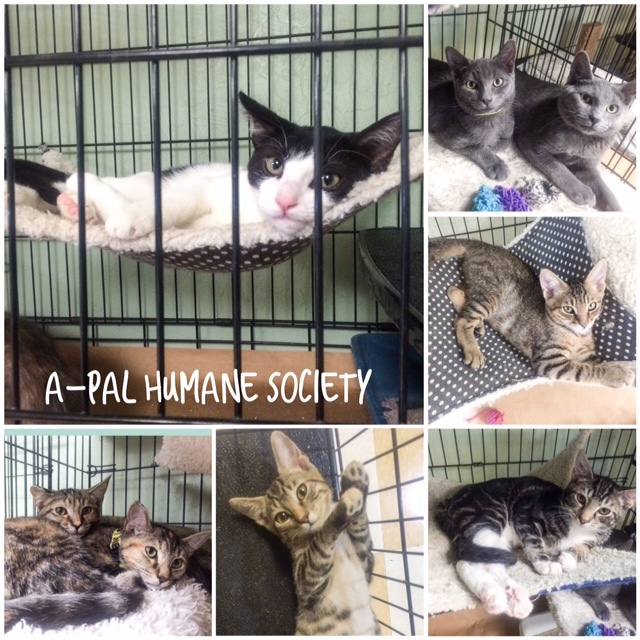 Tagged A-Pal Humane Society, adoption, available for adoption, blog hop, cat, kitten, Tuesday's Tails. Bookmark the permalink. Mee-you so many luvley katss lookin fur fur ever homess~~~ Wee are trulee blessed to have our Hu’manss an thee good homes wee have! They are all precious! Sharing. Weez sharin’ and purrayin’ they get pawsum homes soon. Mes LOVES your 6000 Words!